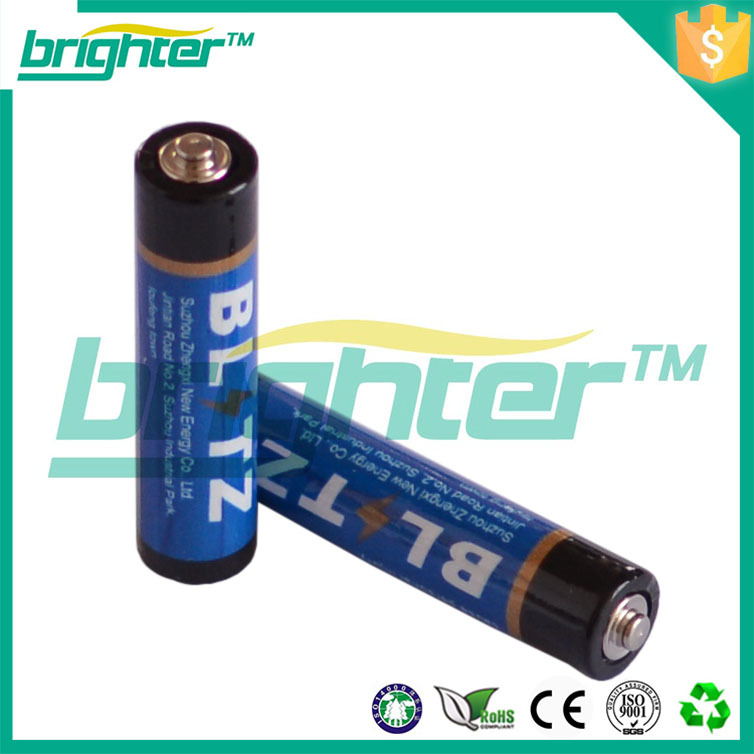 Established in 2002, Brighter Batteries, who has over 13-years of manufacturing experience, is one of the best Dry Batteries and Rechargeable Batteries Manufacturers in China. 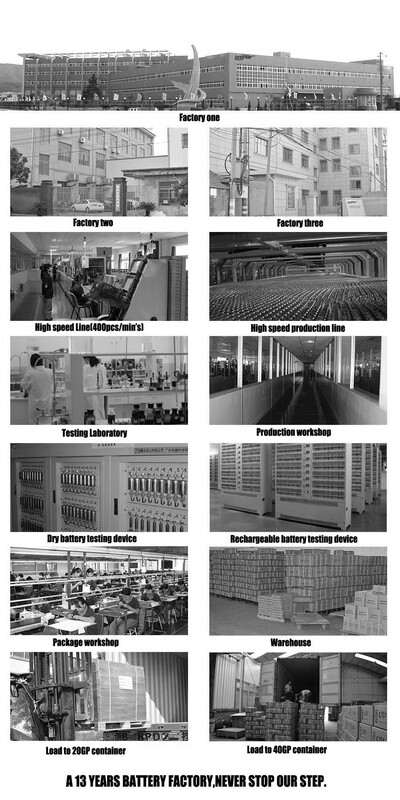 We have imported advanced production line to ensure quality and products have been approved by SGS, ISO9001&14001,CE, IEC Standards and other certifications. 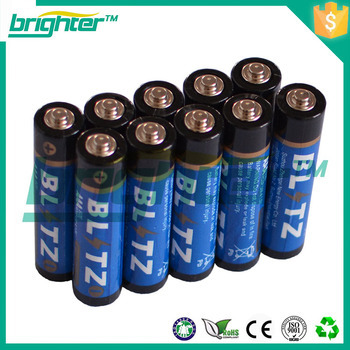 All Alkaline Batteries are 0% Mercury & Cadmium that complies with EURO Environmental Requirements as well as RoHS compliant. We have professional teams on R&D, engineers and quality control experts on product development. 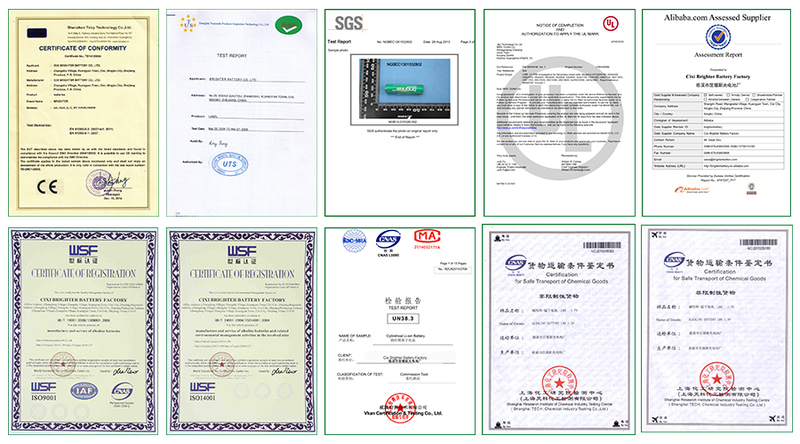 We have applied CE,ROHS,SGS,UL,ISO etc Certifications as our clients' requirements, and we updated them.